Several state medical societies in New England have received reports about an income tax scam directed at physicians. According to the reports, someone is filing fraudulent federal income tax returns using physician names, addresses and Social Security numbers. This appears to be a national problem, since it has impacted physicians in Massachusetts, Maine, Vermont, New Hampshire, Indiana, South Dakota, Iowa, North Carolina and Puerto Rico. The IRS has not issued an alert. Rather, the majority of affected physicians are first becoming aware of it when they receive an IRS 5071C letter advising them of possible fraud. Other physicians are receiving a rejection notification when attempting to electronically file their taxes. It indicates the return cannot be submitted because a return has already been filed under that Social Security number. At least one physician learned of the fraud when he received a large tax refund check before filing a tax return. Internal Revenue Service: If you are a victim of this scam, you’ll receive a IRS 5071C letter. It instructs you how to contact the IRS through its identity theft website or by phone at (800) 830-5084, so you can inform officials know you did not file the return referenced in their letter. If you are a victim, you may not be able to electronically file your return this year since a return with your Social Security number has already been filed. You’ll need to file a paper return and attach an IRS 14039 Identity Theft Affidavit to describe what happened. 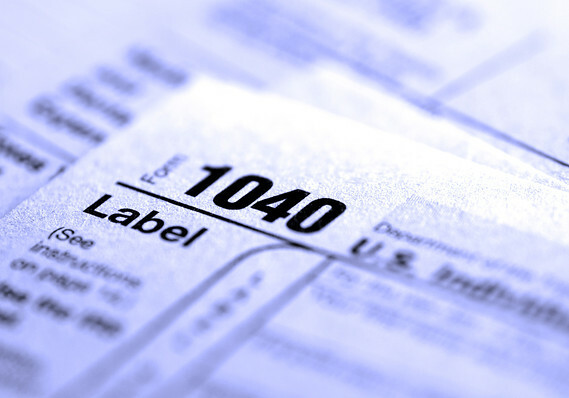 Attach copies of any notices you received from the IRS, like the 5071C letter. Be sure to let your tax preparer know if this happens to you. Verify with the IRS and your tax preparer where to mail your paper tax return, based on the type of return you are filing and your geographic area. If you have not received a notification from the IRS but believe your personal information may have been used fraudulently or are concerned about whether you may have been victimized, call the IRS Identity Protection Specialized Unit at (800) 908-4490. Find more information from the IRS, including forms, at the IRS website. Federal Trade Commission complaint: File a complaint with the FTC here. This not only helps the FTC identify patterns of abuse, but the printed version becomes your Identity Theft Affidavit. Along with a police report, that affidavit becomes your Identity Theft Report, which you will need. The FTC recommends other immediate steps and provides helpful information here. Police report: Consider filing a report with the local police where you reside. Bring all documentation available, including the state and federal complaints you filed. This will likely be necessary if there is financial account fraud as a result of the identity theft. However, if the only fraud is tax fraud, the police report will be necessary only if requested by the IRS. Social Security: Call the Social Security Administration’s fraud hotline at (800) 269-0271 to report fraudulent use of your Social Security number. In case your number is being used for fraudulent employment, you can also request your Personal Earnings and Benefit Estimates Statement here or call (800) 772-1213. Check it for accuracy. MMS: Medical society executives around the country are monitoring the situation. If you have been victimized by this tax scheme, contact the MMS so we can convey the scope of the situation to the proper authorities. Contact Charles T. Alagero, MMS General Counsel, at calagero@mms.org. We acknowledge the generosity of our colleagues at state medical societies throughout New England for their help in developing this message. This entry was posted on Wednesday, April 16th, 2014 at 3:05 pm	and is filed under taxes. You can follow any responses to this entry through the RSS 2.0 feed. Both comments and pings are currently closed.